The Scottish Medicines Consortium (SMC), which reviews newly licensed medicines, has published advice that includes five new medicines accepted for use in NHS Scotland. The recommendation includes treatments for thyroid cancer, Crohn’s disease and a new antibiotic for pneumonia. Two of the medicines, sorafenib (Nexavar), used to treat thyroid cancer, and riociguat (Adempas), which is used to treat pulmonary arterial hypertension, were accepted after consideration under the SMC’s PACE (Patient and Clinician Engagement) process. This aims to improve patient access to new medicines for the treatment of end of life and very rare conditions. Sorafenib is used to treat an extremely rare type of cancer called differentiated thyroid carcinoma (DTC). DTC symptoms can include breathing difficulties and problems swallowing. 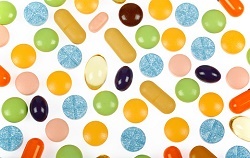 Sorafenib was considered under PACE and the ultra-orphan decision making process, which allows the Committee to consider the wider impact a medicine may have for patients and their carers beyond direct health benefits, and also its impact on specialist services and costs to the NHS and Personal Social Services. Through PACE, patient groups and clinicians highlighted that, as no alternative treatment options are currently available, sorafenib can be life-changing and possibly even life saving for patients as it offers the potential to relieve the most frightening symptoms of DTC, improve pain management and enhance the quality and quantity of life. Riociguat was also accepted after a PACE meeting. It is the first of a new class of medicines used to treat pulmonary arterial hypertension (PAH). There are limited treatment options for this condition and surgical intervention is not always possible or successful. Riociguat offers patients another treatment option that may help to improve their quality of life. The Committee accepted riociguat for initiation and prescribing by specialists in the Scottish Pulmonary Vascular Unit or similar specialists. Ceftobiprole (Zevtera) for the treatment of hospital-acquired pneumonia caused by certain bacteria (such as MRSA) when other appropriate antibiotics cannot be tolerated by the patient. The Committee was unable to recommend two other medicines considered under the PACE process: olaparib (Lynparza) for ovarian cancer and vinflunine (Javlor) for cancer of the bladder and the urinary tract. Rivaroxaban (Xarelto), a blood thinning medicine used to prevent blood clots in patients with acute coronary syndrome (ACS), was also rejected as it did not offer value for money when compared to a commonly used comparator treatment in NHS Scotland. “We are disappointed not to be able to recommend olaparib for use in ovarian cancer and vinflunine for bladder cancer. Despite the powerful additional input from patient groups and clinicians through PACE, we were unable to accept these two medicines due to uncertainty about their clinical benefits in the context of their costs. We know these decisions will disappoint patients and clinicians alike as we understand the devastating impact of these conditions.